Many of us are oddly and sadly obsessed with 90 Day Fiance. But I like to think in our spare time, we have real jobs and relationships with actual humans and sometimes go to museums. How can we possibly be expected to do such things when shows like “Married at First Sight” return to television. And then there’s “Married by my Parents” starting soon. Plus, once one of the “Sister Wives” got catfished, I started watching and I may never leave the house again. But let’s talk Married at First Sight (MAFS) because after that season premiere, I am harboring a burdensome resentment against one of the wives. Obviously, we need to talk about Ashley. And then they cut to this broad storming out in her Kohl’s “Bride” robe because she holds herself to a certain level – whatever that means. Don’t do it, Dave! Just say no! I read on some social media site full of nonsense that Ashley found Dave unattractive upon first sight. First of all, he is perfectly adorable. 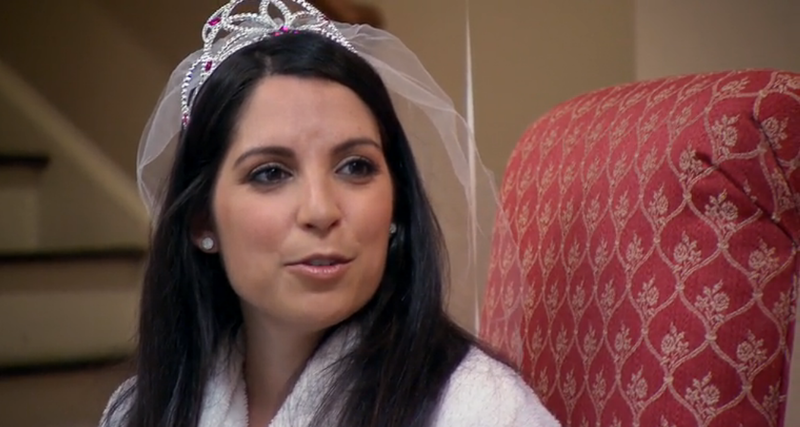 Second of all, Ashley is so hard-up for a decent date that she is legally marrying a stranger on national television. This woman simultaneously possesses both the world’s lowest and highest standards. As for the other couples: so far so good. I feel like MAFS episodes drag on far longer than they need to, and we get too much of these disaster “experts” explaining nonsense words while clearly feeling guilting about last season’s restraining order nightmare, which by the way is still the horrible storm which will never end. Leave us your comments before storming out, please.